Kraftwerk and LCD Soundsystem were both awarded with Grammys at last night’s ceremony in New York (Sunday 28th January) beating out other nominees including Bonobo, Gorillaz and Mura Masa. LCD Soundsystem took home the award for Best Dance Recording for their single ‘Tonight’, winning over fellow dance acts like Bonobo, Gorillaz, Camelphat and Elderbrook, and ODESZA. 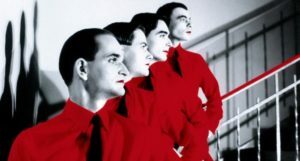 Iconic German outfit Kraftwerk also scooped the gong for Best Dance/Electronic Album with their LP ‘3-D The Catalogue’, leaving Bonobo’s ‘Migration’, Sylvan Esso’s ‘What Now’, ODESZA’s ‘A Moment Apart’ and Mura Masa’s self-titled LP in the dust. The Grammys celebrated 60 years in operation this year with Bruno Mars, Ed Sheeran, Leonard Cohen and more picking up awards throughout the night.